After years of litigation, we are pleased to report a hard-fought victory on behalf of one of our clients. 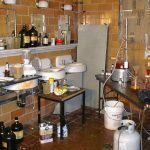 Attorney Brent Eames represented a police officer in his claim for a line-of-duty disability pension as a result of respiratory illness caused by chemical exposure while investigating an active methamphetamine (meth) lab in Southern Illinois. After the officer’s treating pulmonologist opined that he was medically incapable of returning to full duty police work on account of his respiratory condition, an application for a line-of-duty disability pension was filed with the pension board. However, the City intervened into the proceedings of the officer’s pension application in an attempt to fight his entitlement to the disability benefits. The City attempted to argue that the officer was exaggerating the severity of his condition, and that his condition was a result of an unrelated cat allergy which the officer experienced in his youth. After the depositions of three examining physicians, and the live testimony of eight witnesses, the pension board ruled in favor of our client and awarded him a line-of-duty disability pension. However, the intervening city did not give up and chose to appeal the award to the Circuit Court under the Administrative Review Act. After briefing and oral argument, the Circuit Judge ruled that the evidence in the record supported the pension board’s decisions that our client is disabled from police work, and that said disability was caused by the act of duty of busting up the meth lab. As a result, the Judge affirmed our client’s award in its entirety. We are thrilled for our client and his family to finally have closure and a sense of financial security after a legal battle which has raged on for over four years. The Eames Law Group, Ltd. has extensive experience representing injured police officers and firefighters in claims for workers’ compensation; disability pensions; PEDA; and PSEBA. If you or a loved one is in need of legal representation, please contact our office for a free consultation. Next → Next post: Illinois State Bar Association Ask a Lawyer Series – What is my Work Comp Case Worth?